Most of the time, it is actually better to have a business email address or company email address ([email protected]’s name.com) e.g. tony@mallplaza.com, andrew.william@pilotchannel.com, oprahwinfrey@oprah.com. If you do not have a business email, get a Yahoo! or Gmail equivalent e.g. oprahwinfrey@gmail.com. This is the first step in writing professional emails. Grammarly is an indispensable tool for people who write important emails, documents, and web contents. If you are a manager, sales person or customer service personnel who sends important emails every day, I’m quite confident you would greatly value the quality of your grammar. Grammarly helps you write important emails professionally by correcting your grammar and spelling errors easily and painlessly. Once you install the FREE Grammarly extension on your Chrome, Internet Explorer or Firefox browser, Grammarly will quickly check your Grammar and help you change wrong grammar or spelling with just one click. Bottomline – Grammarly is a “great friend” for people who write important emails. You should try Grammarly right away. If you prefer Microsoft Add-in, Desktop app or a web app, Grammarly provides them too. You can easily activate Grammarly here. Bear in mind that business owners (your clients) receive a lot of emails just like you. Your email headline must stand out to grab their attention. Yet, you should avoid using ambiguous and annoying headlines like Important, Urgent, Emergency etc. Your headlines should be succinct and meaningful; it should be individual and professional. It is quite normal to get so passionate that you send an email without greeting the recipient, but that’s bad. ‘Hello’, ‘Hi’, ‘Dear Sir’, ‘Dear Ma’, ‘Dear Ayo’, ‘Dear Mrs. Margaret’ etc. 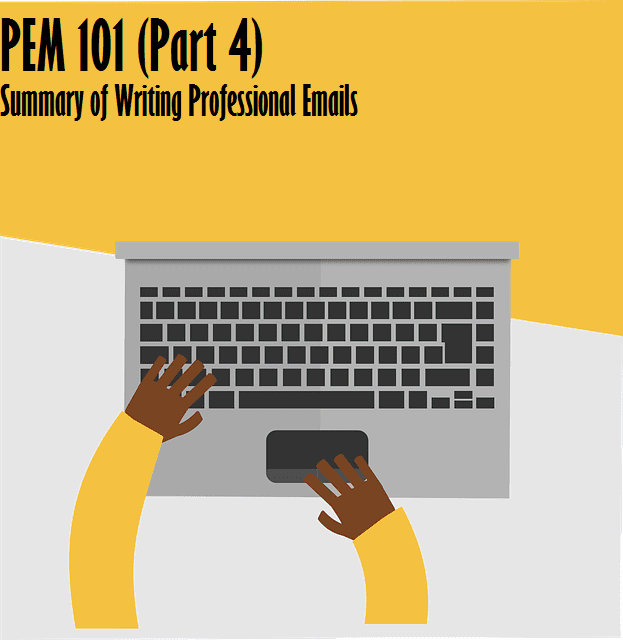 Depending on the type of business you do and the previous relationship between you two, choose a courteous way to address your client if you are writing professional emails. Just like in most professional writing, your introduction sets the tune of your message. So, take time to make sure it is good. First, it determines whether your client will read your mail to the end or not. Secondly, it dictates the mood for your client. A cheerful introduction will help your client rise from the fatigue of email spams and respond to your mail. Introduce yourself humbly but professionally. Quickly explain how you found your prospect or why the recipient is your client. Stylishly lay out your agenda and move to the next paragraph. This means you should avoid unnecessary explanations. Use the fewest words with the fewest letters in the smallest paragraph to convey your message. Any intelligent fool can make things bigger and more complex … it takes a touch of genius — and a lot of courage — to move in the opposite direction. Being concise also shows that you value the time of your client, and you will send other emails with the same courtesy. Confidence breeds attraction and respect. When you conclude your emails with the confidence that your client or prospect will respond favorably, you have already set success in motion. So, conclude professional emails with an expectation, and let it be a good one. ‘Best Wishes’, ‘Best’, ‘Warmly’, ‘Sincerely’ etc are excellent ways to sign off a professional email. Include your name, address or website, and phone number so that your client or prospect will be able to contact you immediately if necessary. As a byword, take note that your email can cause a disaster and can bring good fortune. 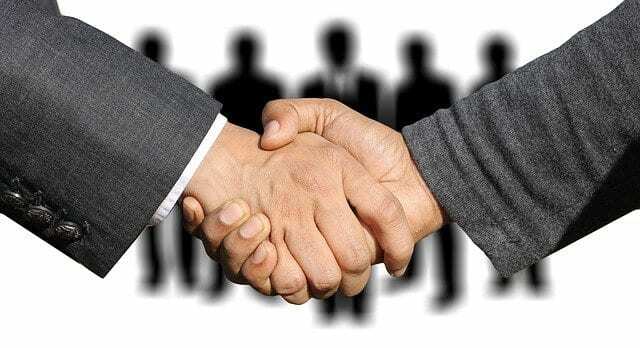 Most importantly, having read this article, you stand a better chance of achieving success than your competitors if you implement the tips provided. So, sit tight and get back to work. , you won’t ever write a bad letter again. Do you handle correspondence in your office or run your own business? Deciding the right phrase to handle different situations can be very tasking. As a correspondent, you are directly involved in critical day-to-day interactions via email. This makes your ability to craft good email messages, using the perfect phrases and clauses, tangential to your business success. 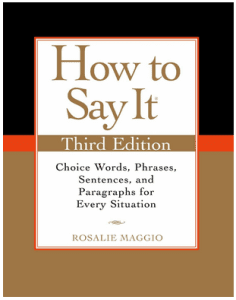 Overall, this book will greatly improve your communication skills. It will also help you easily clarify assignments with your manager or projects with your clients as well as guide you in handling the inevitable complaints that sometimes follow sales of products or services. Dr. Ayoade Oyedotun is the co-founder of Afrimash - An Online Shopping Site for Agricultural Items. His daily work encompasses customer service, sales and marketing, human capital management, and business operations management. He is passionate about working smarter using the Internet technology. Best Salutations and Greetings for Professional Emails.